Master P aka Percy Miller, has lived several lives: retired trap star, former NBA player and heavyweight music mogul for starters. The success of No Limit Records opened the door for him to venture off into film, television, sports management, clothing, real estate and philanthropy. Did I mention he’s a published author? Master P is a pioneer. He created the blueprint for independent artists to be successful in the music industry and he helped lead the charge to put both coasts on notice that the south was coming. Google search Vibe magazine’s iconic 1998 cover spread featuring Master P alongside LL Cool J, Busta Rhymes, Method Man, Lauryn Hill, Foxy Brown, Lil ‘Kim and Missy. You will notice that P and Missy were the only southern born rappers on the spread, that’s no accident! Frankly, P helped put the south on the map. Anybody who grew up in the 90s knows that Hip-Hop was dominated by the east coast sound and defined by east coast-west coast beef. That’s a fact! Looking back on his reign, it’s amazing how P was able to achieve mainstream success without major label backing in a time where the FM radio was the primary medium through which fans consumed music. Between the years of 1992 and 1998, No Limit Records earned $120 million. From 1997-2000, No Limit Records released 50 albums with a considerable amount of them achieving gold and platinum success, in most cases without mainstream airplay. In 1996, he signed a distribution deal with Priority Records worth $30 million. To this day, this stands as one of the most lucrative Hip-Hop deals of all time. It allowed him to maintain full ownership of his masters and 85% of record sales while changing the business of Hip-Hop forever. 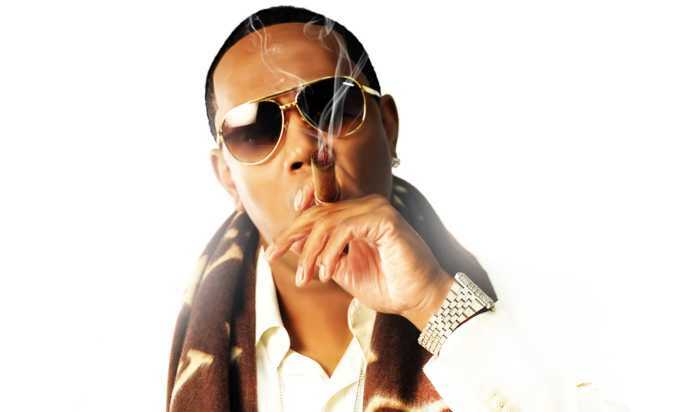 Master P affected the way that independent artists approached their careers. Cash Money Records would soon sign a similar deal with Universal. The ripple-effect of Master P’s leadership can still be felt today through successful indie artists like Chance the Rapper, Tech N9ne and Macklemore. Who do you think they learned the game from? He has sold over 75 million records, earned 5 Grammy awards and has an estimated net worth of $250 million. Some of his marquee artists were Mystikal, Mia-X, Fiend, his brothers Silkk the Shocker and C-Murder and the Doggfather himself Snoop Dogg! In 1997, he delivered one of Hip-Hop’s first independent films, I’m Bout It. He wrote, directed, produced and starred in the film with only a $1 million dollar budget that he fully financed. I’m Bout It sold 200,000 copies bringing in a $9 million dollar return. The success of I’m Bout It landed him a distribution deal with Miramax. In a 1998 New York Times interview P said that his goal was to become “The Ghetto Bill Gates”. Underrated but never faded Master P is truly one of the goats in Hip-Hop.